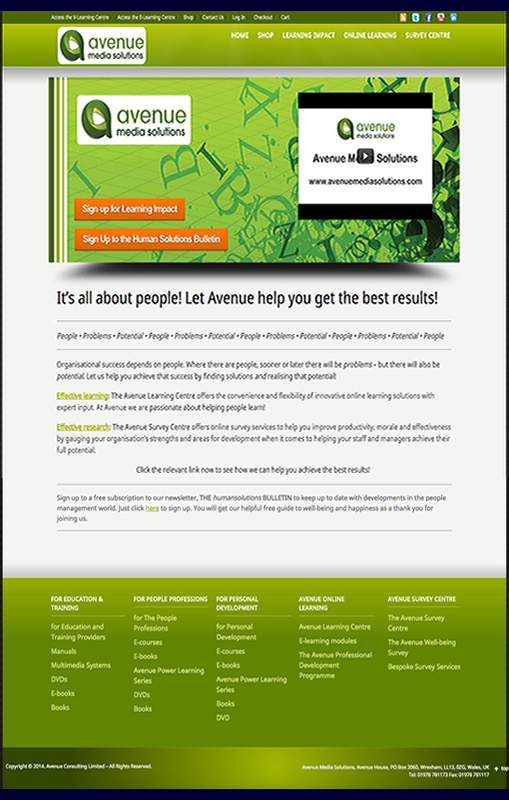 Avenue Media Solutions is an online learning centre built on WordPress, with Moodle and Mahara integrations. This website is built on the Karma theme, customised and developed over time to make it more feature rich. The first thing to note is that it uses Woocommerce to sell ebooks, dvds, and books. The online learning centre also allows the administrator to sell Moodle courses. When a customer buys a course the system automatically creates a login on the specific course in Moodle and emails it to the customer. This way they have a fully automated sales system that requires no action on their behalf to administer so they can concentrate on creating their content. As well as selling Moodle courses, this website has an integrated video learning centre that we created using a custom post type. Access to this is also automated using Woocommerce and the groups extension. Customers purchase a course and are assigned to a group that has access to that course, allowing them to view the learning material without admin action. All of the courses in the online learning centre are based on subscriptions that cycle billing either monthly, quarterly or yearly – again taking payment and administering recipes automatically. One of their courses uses BuddyPress combined with BBPress to allow course users to discuss material and support their learning through interacting with other members. This section includes forums, a wiki, access to supporting educational material and groups. This online learning centre is one of the many features of this website. Avenue Media Solutions also sell survey services to institutions, and offer a wide range of learning material and support to schools, colleges and universities. An online learning centre requires a lot of planning, development and a good hosting environment to function well and properly serve not only the client, but all of their customers, learners and teachers.